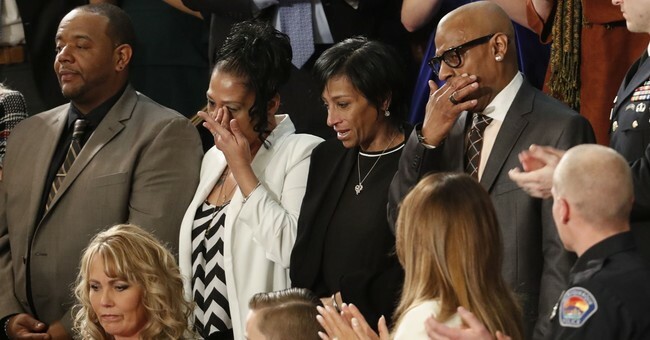 In discussing the problem of criminal illegal aliens in America during his State of the Union Address Tuesday night, President Trump invited as guests Elizabeth Alvarado and Robert Mickens, whose teenage daughter was murdered by the gang, to put a face to the issue. But MSNBC’s Joy Reid didn’t find the president’s discussion of the problem terribly important, as she dismissed the gang as something only Fox News talks about. “He gives a speech tonight, in which he makes it sound like the biggest issue in the United States, the biggest threat is MS-13, a gang nobody that doesn't watch Fox News has ever heard of. So he makes it sound like they're the biggest threat," she said. Alvarado and Mickens got their chance to respond Wednesday on Laura Ingraham’s Fox News program. "I have no words," Alvarado said. "I mean, these are gang members that just, you know, decided to be a judge and a jury to take my daughter out like that. It's unacceptable. I don't want it to happen to anybody else's family. But, something needs to be done. And I won't stop doing what I'm doing until everything turns out right. I can only hope and pray that whoever is in or any gang members, please, stop the violence. It's enough. How much more blood do we have to shed? Stop." As for black Democrats refusing to stand to honor their daughter, Mickens said he was hurt. "Well, I thought it was very disrespectful for the simple fact the Democrats who were there that did not stand up, they were African-Americans. So that hurts me a lot to show they did not have the respect or to honor what just happened to our lives and to Americans' lives. It's not right, you know. Regardless of how they feel about the president, they should show the respect because I would show them the respect if that was their loved one." Alvarado and Mickens were joined at the State of the Union by Evelyn Rodriguez and Freddy Cuevas, whose daughter was also murdered by the gang. Trump told the world their stories on Tuesday. The two girls were close friends in Long Island, New York, which is struggling with the gang’s heavy presence in the area. "Here tonight are two fathers and two mothers: Evelyn Rodriguez, Freddy Cuevas, Elizabeth Alvarado, and Robert Mickens," Trump said. “Their two teenage daughters — Kayla Cuevas and Nisa Mickens — were close friends on Long Island. But in September 2016, on the eve of Nisa’s 16th Birthday, neither of them came home. These two precious girls were brutally murdered while walking together in their hometown. Six members of the savage gang MS-13 have been charged with Kayla and Nisa’s murders. Many of these gang members took advantage of glaring loopholes in our laws to enter the country as unaccompanied alien minors -- and wound up in Kayla and Nisa’s high school."